Qualifications: B.Tech. / MS in Electronics/ Electrical/ Computer Engineering. Experience: 1-2 years of relevant layout design experience. i) Bachelors or Masters in Electrical Engineering, Computer Engineering or Computer Science. 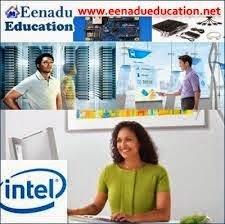 ii) At the Masters level, a minimum of 4 years of experience with processor and PC system level architectures. Experience: 2-3 years in do Custom Layout Design. How to Apply: For these details visit the website link.